...The Kingdoms of this world are become the Kingdoms of our Lord.... Amen. (Rev.11:15 KJV): WHOSE REPORT WILL I BELIEVE? You may have been ignorant of these truth but if you make up your mind today to know the truth for it is written ye shall know the truth and the truth will set you free then: Seek the Lord and his strength, seek his face continually. 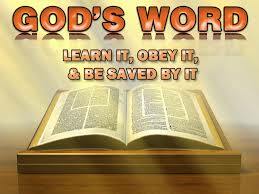 Be ye mindful always of his covenant; the word which he commanded to a thousand generations(1chronicles 16:11-15). It is God that blesses women with the Fruit of the womb, He alone can bless your marriage, education, career, business, relationship and ministry and not any man. 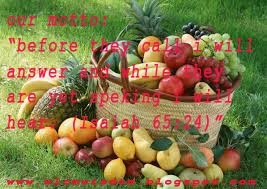 Don’t let anyone lead you to do what you are not suppose to do in the name of seeking for the fruit of the womb and you too please stop complaining and murmuring( And when Rachel saw that she bare Jacob no children, Rachel envied her sister; and said unto Jacob, Give me children, or else I die. Why did Rachel begged her sister Leah for Mandrakes? She did that because she believes that once she takes it in she will be fertile and be able to bear children. But she only thought as human because even after she took that she did not conceived but her sister Leah did. I declare from this moment God will remember you, as you pour your heart before him, he will honour your word, for He Said in his Word As you speak into my ear so will I do it. 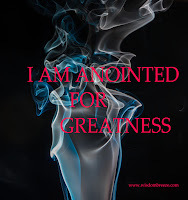 Beloved please move boldly to the throne of Grace for your Redeemer Liveth! Receive grace to pray, I declare everything that concerns open, I declare the light of God upon your life. Anything that may block your way this year I use the blood of Jesus to Unblock them in Jesus' name Amen! the flood gate of heaven is open for you! I love you all! Stay connected to the Word and be blessed! Wow this is a great one. So Rachel actually thought if she eat of the mandrakes she would become fruitful? Have never caught this rhema. Thanks for sharing this. O yes it is only what God says that stands. God will remember someone now. Deep words from the woman of God once again. Yes,it only what God says that can stand! Thank you for visiting Idu Emeziem! Stay blessed! The Lord's report is the only acceptable one, God be praised. wow! so glad to see you dear!